The video presentation below will give you a solid foundation for understanding the Juice Plus+ Compensation Plan. You will also learn how to Get Started properly with our very predictable road map for success. You can also learn how to read your ‘PVC Report‘ by listening to Jenny’s audio training (recorded in 2008!) 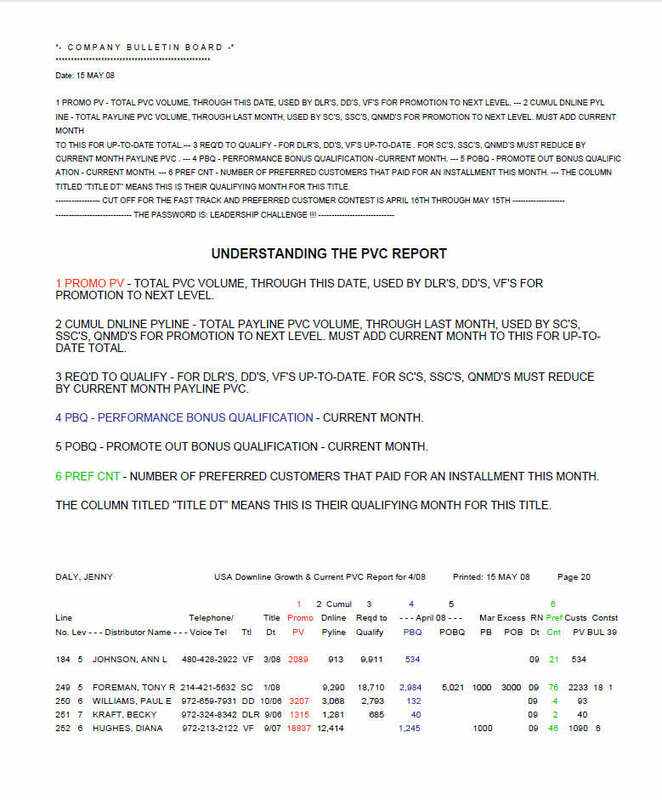 and following along as she talks you through the page of a PVC Report (see below). Note that your Report arrives on the 20th, 25th and 30th of each month (a change since this training was recorded). Also note that when Jenny refers to ‘column eight’, she means ‘column six’. 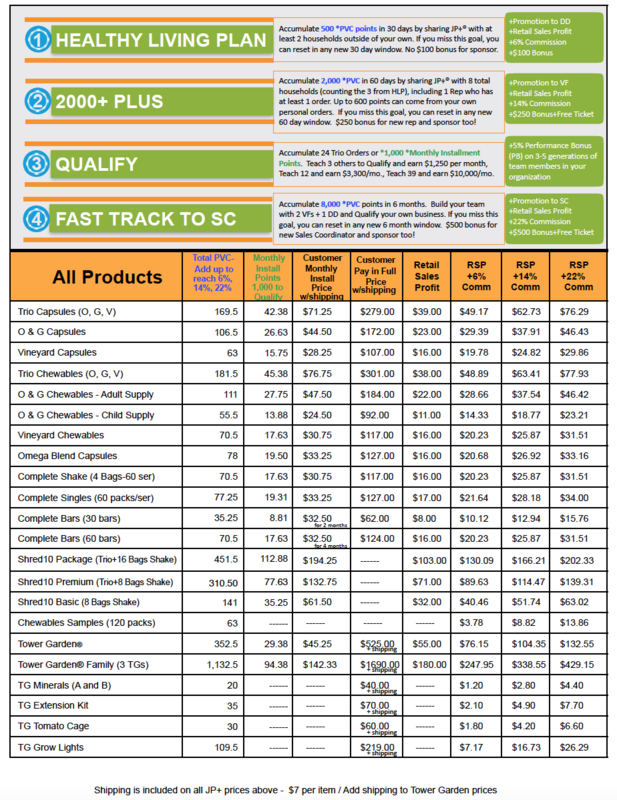 Click here to see all the pVc and retail profit totals for all products at all levels. Now to fill in the gaps, unveiling the mysteries of “PVC points” and your PVC Report! This worksheet will help as you watch this training.